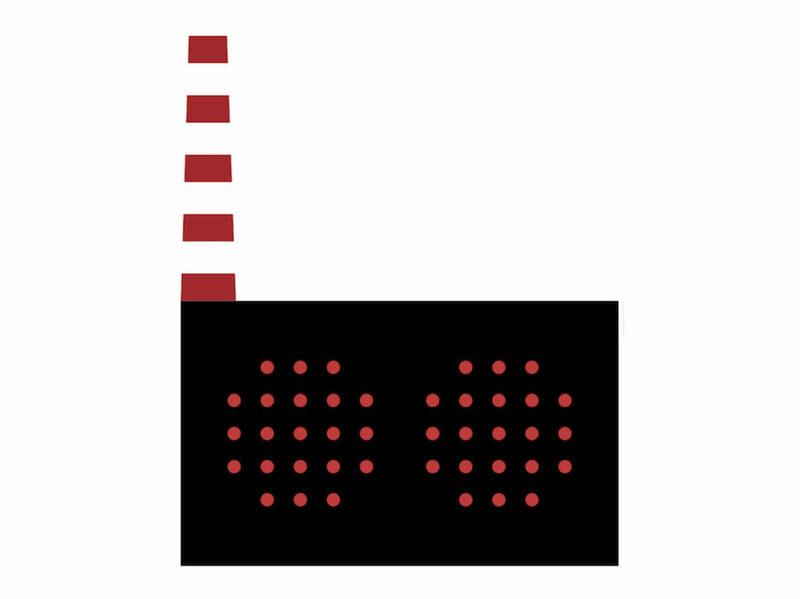 A symphony for San Donato (Florence, Italy) with Jason Cady and 42 radios. February, 22nd 2019 a full orchestra composed of 42 radios and 4 musicians, performed a symphony dedicated to the San Donato district in Firenze. A full scale radio happening to be listened to live and to experience first hand. 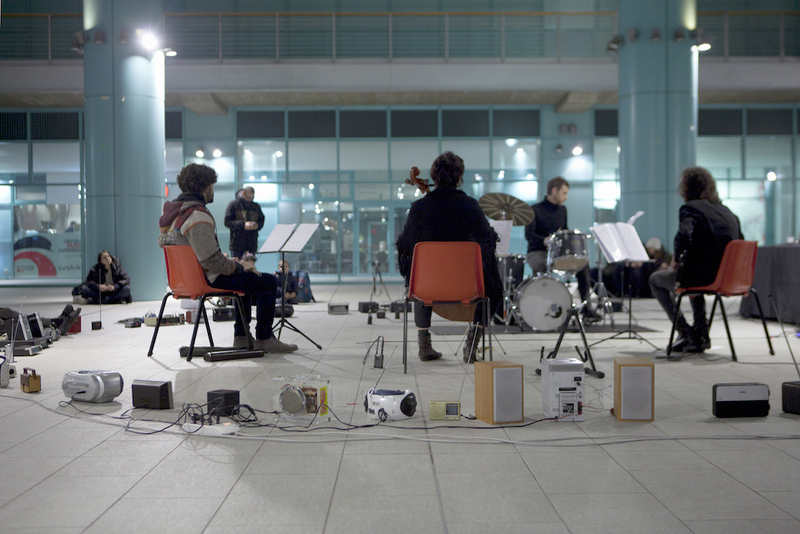 Composer Jason Cady created for Radio Papesse a new radio performance: forty-two radios and four musicians interacted with the sounds form the San Donato/Novoli area, bringing front and center acoustic memories and sounds form a rapidly changing neighbourhood. Radio Symphony Orchestra brings ideas of radio listening together with the harmonies sprung from a collectivity. 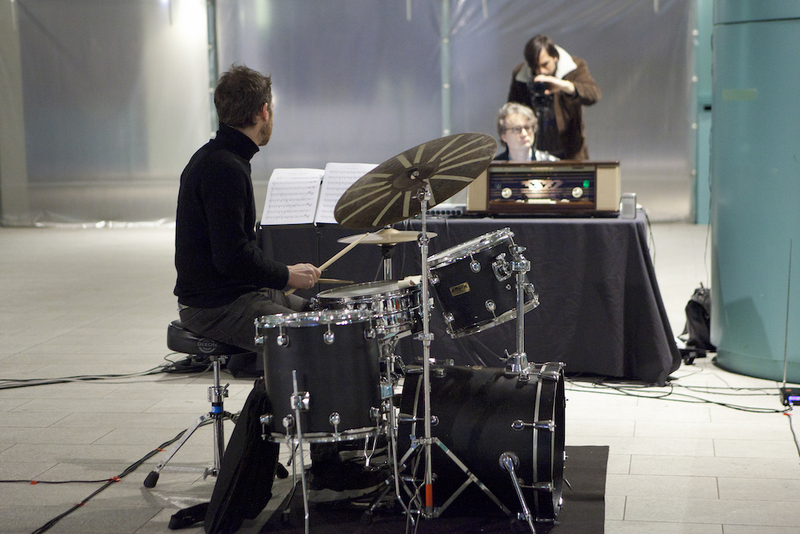 Radio Symphony Orchestra is a project by Radio Papesse and supported by Città di Firenze, Lighton International Artist Exchange Program and Città Metropolitana di Firenze. The second half of this Radia Show presents two fragments of recent works by Jason Cady: Candy Corn (2018) and The Captives (2015). Two works that combine Cady’s research in possible musical narratives, his mastership in mod-synthesizers and new opera languages. This entry was posted in #42 and tagged Radio Papesse. Bookmark the permalink.